This year is going to be dominated by personal drones. Why? 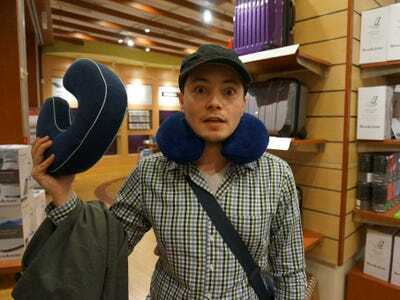 Because they’re incredibly fun to fly, and becoming increasingly affordable. Black Friday is bringing prices down even further — here’s a roundup of deals not to miss. We and our friends at Stack Commerce put together the ultimate guide for getting a drone, and we’ve got one for every budget. Don’t forget to use the code HAPPYBF10 for an extra 10% off. 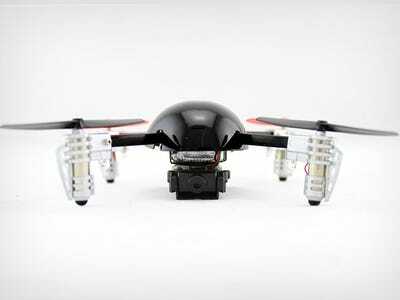 Despite weighing just over an ounce, the Extreme Micro Drone 2.0 (46% off) is impressively equipped with gyro-based stabilisation and a camera -- in fact, this is the only micro drone in the world with a swivelling lens. Being so compact means it can fly indoors and out, and it can pull 360º flips. A really nice all-rounder that is forgiving on newbies and ships globally for free. Don't forget to use the code HAPPYBF10 for an extra 10% off. The Code Black (55% off pre-orders) looks like it emerged from the Batcave, and it has the kind of features the Dark Knight would demand. 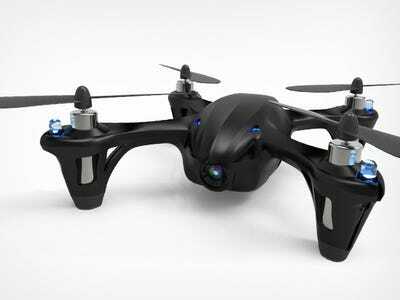 It is a great out-of-the-box flyer, with a HD camera on board, and it is small enough to fly anywhere. Plus, it can perform the all-important flips. If you order by Dec. 1, the Code Black will ship in time for Christmas, but the price will rise come mid December. At the other end of the scale is the giant Panther Spy drone (55% off), which uses its size for durability. The rotors are surrounded by protective foam, but given that it has gyro stabilisation, those guards shouldn't be needed all that often. It also has a 720p camera, 2.4GHz transmission for good range, and 360º flips in its tricks locker. 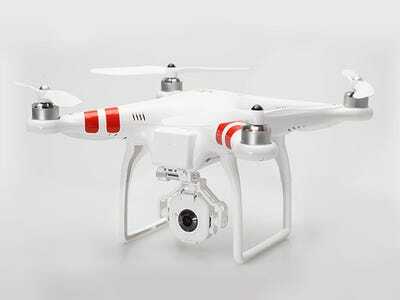 DJI is always a safe bet, and the Phantom FC40 (23% off) is one of the most popular drones on the market. 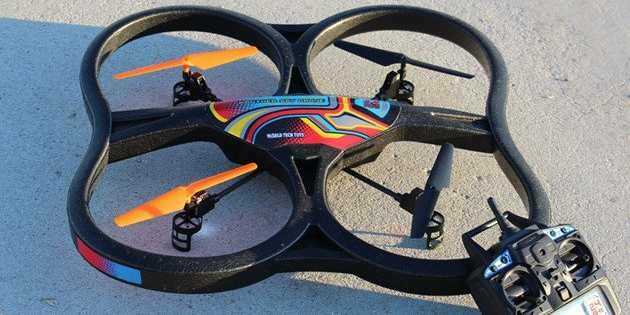 It offers on-board GPS, a gimbal-mounted HD camera (720p/30fps), live video streaming via Wi-Fi, a range of 1640 feet, and a fail-safe autopilot in case of emergency. 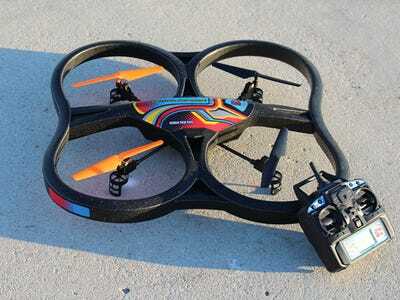 The other great thing is that it requires virtually no setup, and it is ridiculously easy to fly. Pro tip: use code phantom35 at the checkout for an extra $US35 discount. 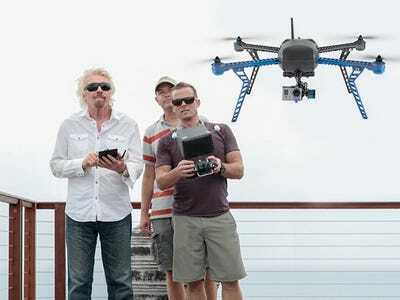 There's a reason why Richard Branson backed the 3DRobotics IRIS+ (3% off) -- it is an incredible machine. Along with nice manual controls, this thing has a GPS to pilot itself along any flight paths you designate, and it can even intelligently track objects. With a GoPro mounting, that means the IRIS+ is ideal for capturing your sporting exploits hands free, and a flight range of 16-22 minutes is unusually long.